Club Ben Akiba is located in the most popular nightlife area in Belgrade, at the address Branko Krsmanović 6. Club Ben Akiba is an unique and attractive venue on two levels, designed to provide the ultimate pleasure to the visitors in every way. Club Ben Akiba is actually a symbiosis of two clubs: Comedy Club & Bar located on the lower floor and White Lounge & Art Gallery, located on the top floor. Ben Akiba Comedy Club & Bar is a contemporary cabaret presented in a unique ambience. This is the very first is comedy club in our area that gives a fantastic live show with the top offer of drinks and the most popular DJs. Tuesday, Thursday and Sunday in this section of Ben Akiba Club are reserved for a stand up comedy, while Friday and Saturday are the days when you will enjoy great rock, pop, disco, rnb and hip hop sounds. Ben Akiba White Lounge & Art Gallery is a unique place where you can enjoy the arts, music and the best cocktails in the heart of Savamala, in Belgrade. Ben Akiba White Lounge & Art Gallery will provide you with a timeless and unforgettable experience of total enjoyment with an unusual contemporary concept in the presentation of art and music, combined with original ambience made from recycled elements. This, the upper part of the club on weekends is reserved for top-level DJs and electronic, techno, minimal, house music. Club Ben Akiba offers you the opportunity to, whether in daytime or evening hours, 7 days a week. You can enjoy the top quality drink, benaciba pizzas, healthy snack snacks, grilled cheese, cheeses, olives, organic and homemade benches with a rich menu. 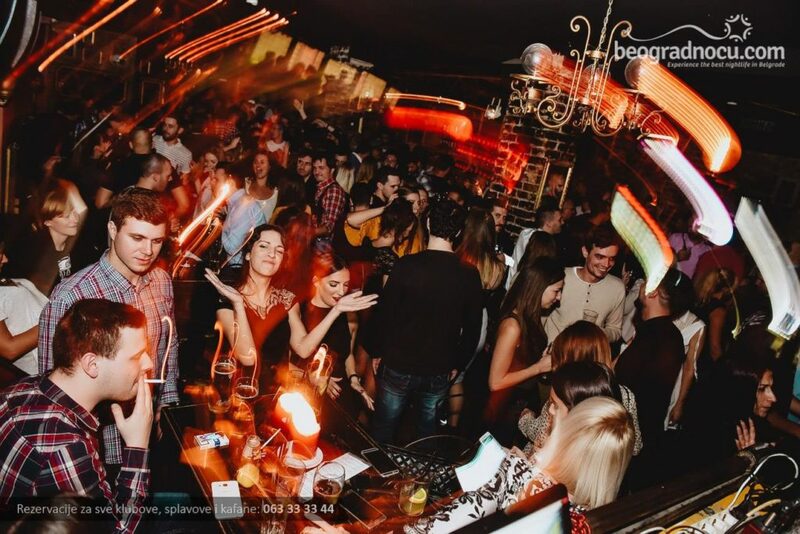 Also, this phenomenal club in the heart of Belgrade offers you the best and colorful selection of music along with the most popular DJs, and it is also suitable for all kinds of celebrations, birthdays, private parties, as well as for seminars, team building, workshops, film screenings, tv broadcasts and live streaming. Ben Akiba Club can accommodate, in total, 450 people, 250 people in the lower part of the club, and 200 people in the upper, which makes it one of the biggest clubs in the city. If you want to enjoy good music, quality drinks, excellent food and a pleasant ambience, this is definitely the perfect place for you! Welcome!